Back when this concert was confirmed, I immediately bought tickets. I didn’t even know if I was going to go, but I knew I would find a way. But nevertheless, despite all the busyness of life, I flew back to the Bay the morning of the concert, ready to go to the last event ever at Candlestick Park and to see Paul McCartney one last time. My dad and I took the secret way to Candlestick. We parked and walked our one mile to the stadium. This was the route that I took to the 49ers games when I was a writer. I would turn on Jamestown because I had a parking pass. But as a fan, this second route is the way to go. Now that the stadium is being blown up, now it’s cool to use this route one last time. When we got there I marveled at the idea that this would be the last time I would be here. 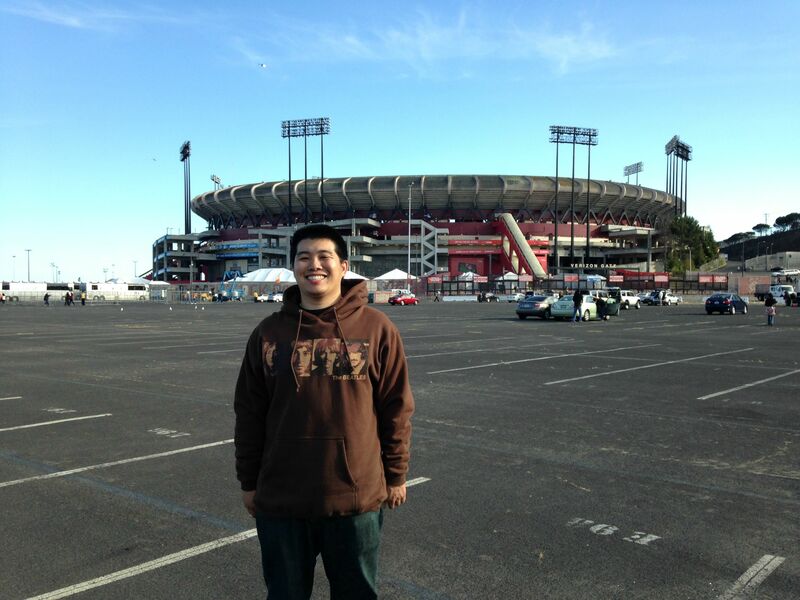 I had already bid my farewell at the last 49ers game here. Little did I know I would be back one last time. We entered the stadium and the first thing I did was hit the merchandise stands. Having gone to a few concerts before, this is the first thing you do. All the good stuff will be gone later. I ended up spending $145 on a poster, a shirt and a sweatshirt. Yeah, that’s pricey. I might not keep the sweatshirt, but it is a good looking one. My uncle, aunt and cousins were there with me and my dad. It was great. We waited 45 minutes after the scheduled start time before Paul hit the stage. Forty songs, three hours and two encores later, it was over. The above video playlist are all the videos I shot during the concert. It was amazing as he played the last Beatles song they played here back in 1966. He played his tribute songs to John and George. He also even covered Jimi Hendrix and told stories throughout the evening. I don’t know how I could explain how great this evening was. It was fantastic and the fact that I got to see this and get transported back in time was amazing. This may have been the perfect sendoff for this old stadium. I know I had my fun! This entry was posted in Music and tagged Candlestick Park, Paul McCartney. Bookmark the permalink.